Over the years I have hosted many wine nights. I used to live in San Diego right near wine country and I grew to really love wine. 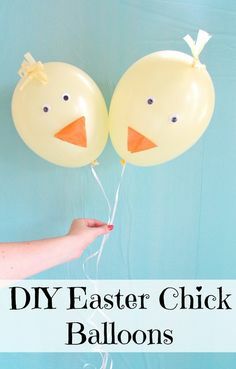 It is the perfect easy adult party to host. Also the perfect holiday get together. I don’t know about you but I needed some adult socializing and bonding time over a glass of wine. Notable Wines are the perfect addition to your holiday party. They are the first wines to have the flavor profiles on the front of the bottle making it easy for finding in stores and party guests to see the flavor profile. You can find where Notable Wines are available near you by using the product locator. 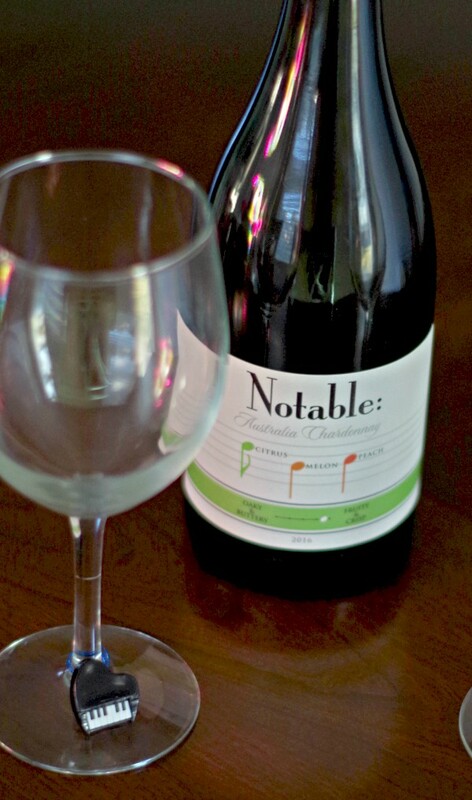 The Notable: Oaky and Buttery Chardonnay has smooth oak, butter, and vanilla notes. 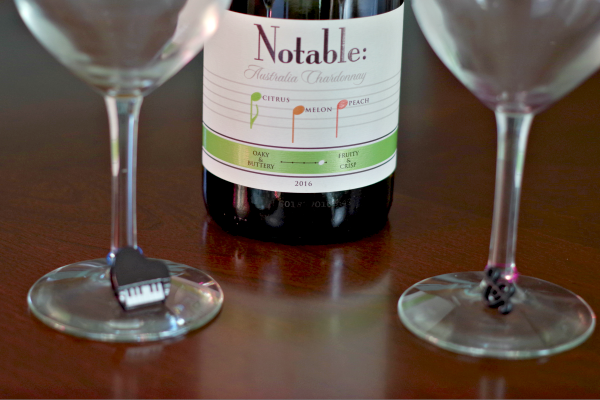 The Notable: Fruity and Crisp Chardonnay has citrus, melon, and peach notes. They are the perfect wines for beginning and seasoned wine drinkers. 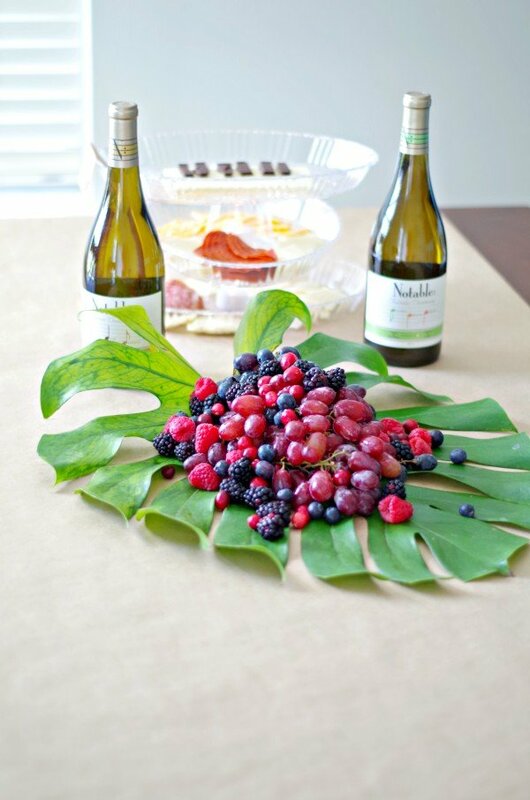 Plus, at a wine tasting party you don’t have to choose one, you can taste both to see which you prefer. 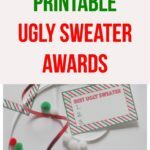 I made some fun printable for decorations and food labels. 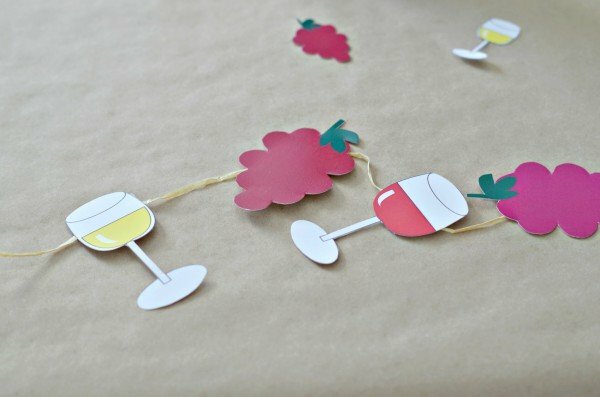 I absolutely love these adorable grape and wine glass decorations! 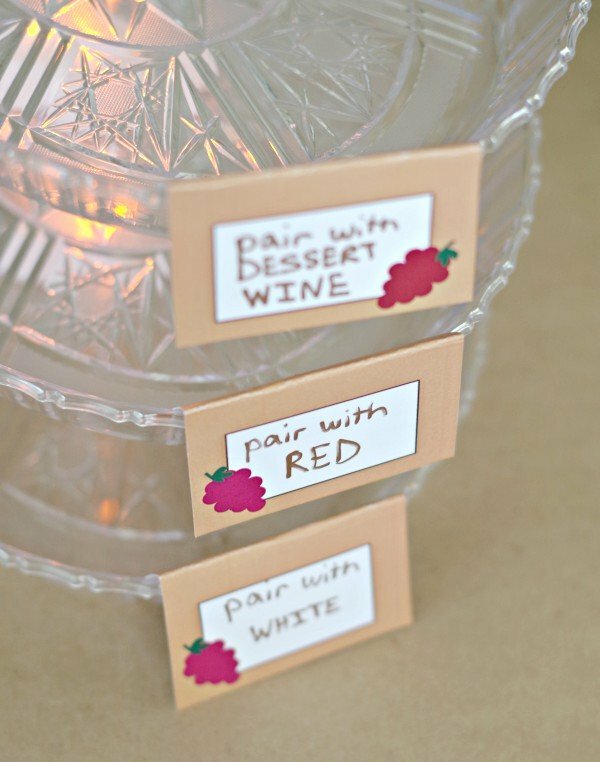 It’s hard to find simple, classy, wine decorations to add to a wine party. That is why I had to create my own. I also made a printable wine bingo game. Bingo is a classic game everyone loves and no party is complete without games! 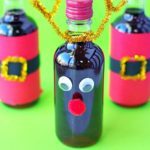 Adults really get into games and I have some easy wine party game ideas for you. For the table setting I kept it super easy to put together. 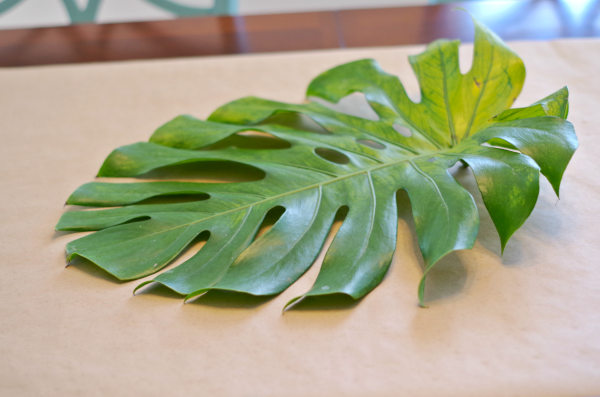 I used crate paper for a table runner. 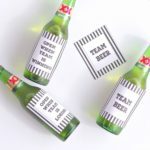 This is great because you can write on it for seating and to tell what wine you are serving. It also has a bit of a rustic look. 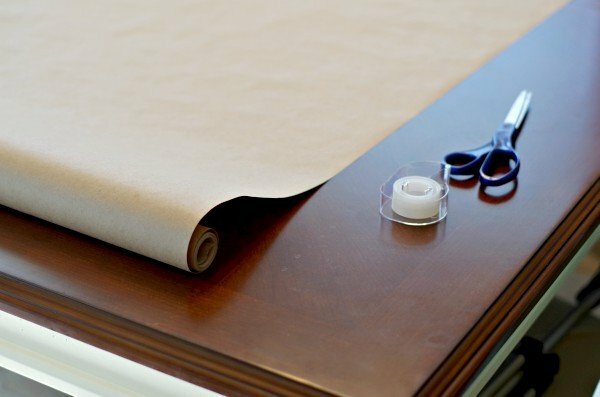 You can get a large roll to cover the whole table or just as a table runner like I did. 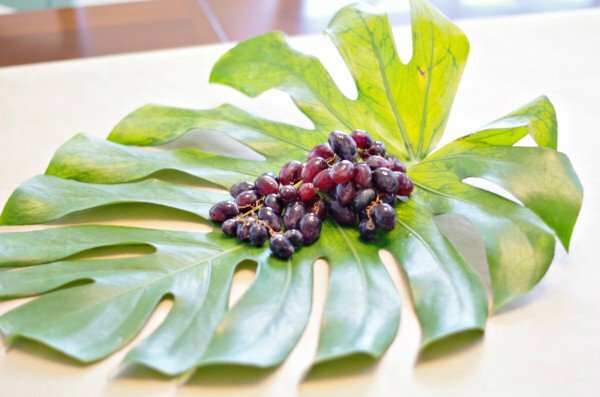 Then I took a banana leaf and added berries for an edible centerpiece. 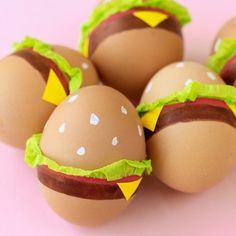 This is part decoration and part snack! 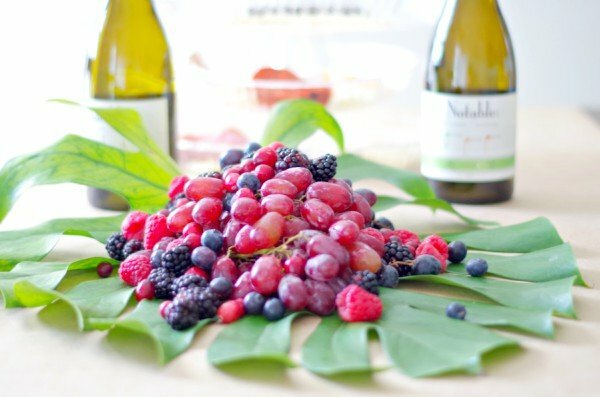 It is so easy to add berries and grapes to make an edible centerpiece. 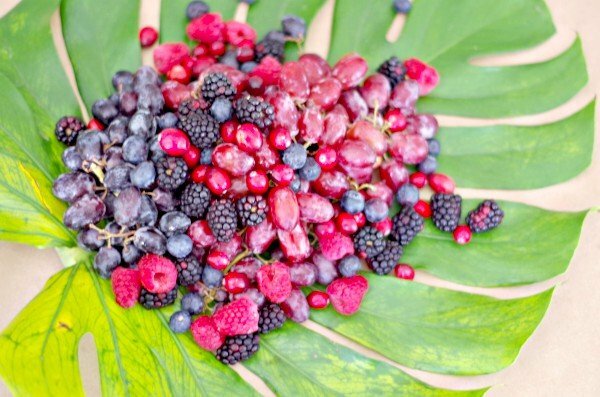 You could add any variety of fruits for the centerpiece. 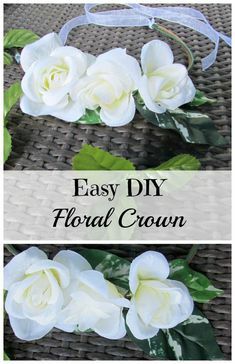 It looks pretty and is a functional decoration because guests can eat it! 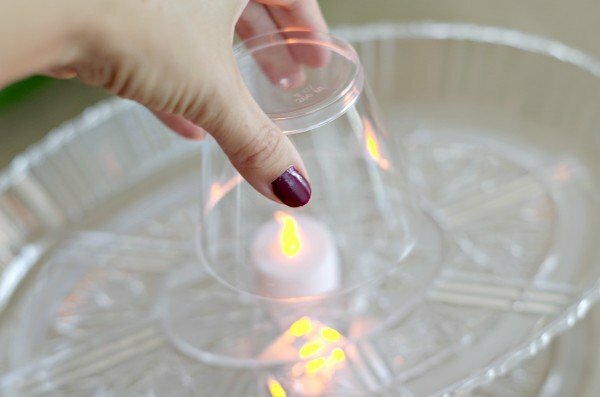 I made an easy tiered food tray with dollar store trays, cups, and electric tea lights. This has a nice look for night time when most wine parties take place. I just flipped the cups upside down over the tea lights and stacked the trays on top. 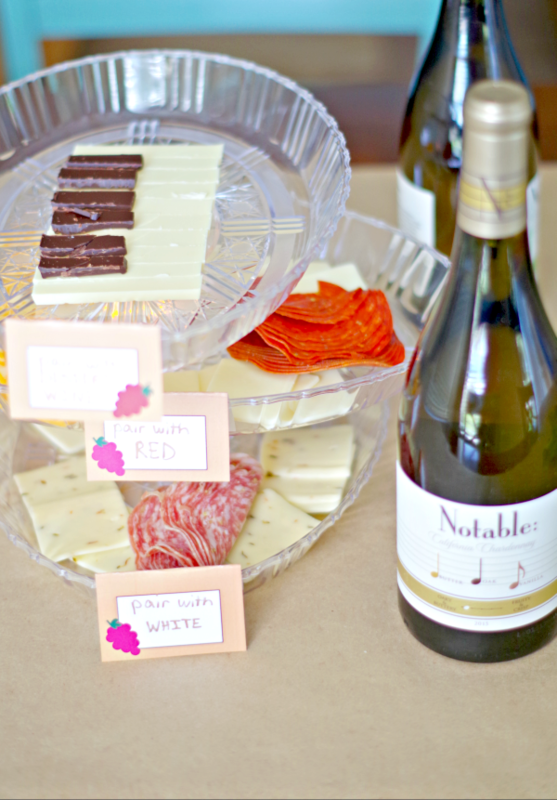 Then I added food labels one for each tray telling you what wine to drink with the tray of food. You want to enhance the wines with the right cheeses and appetizers. Then top it all off with dessert. 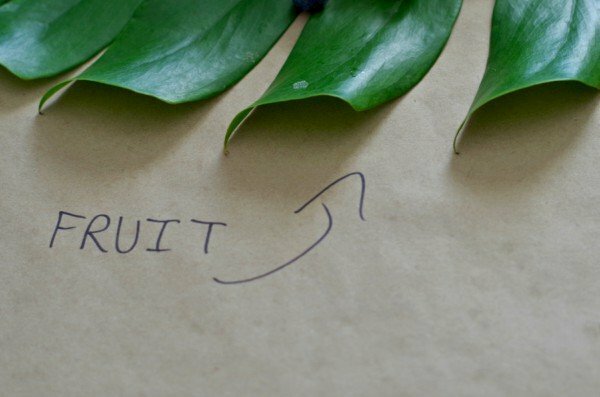 It is a progression from start to finish starting at the bottom. It’s good to taste test the wines and cheese together to see what pairs well. You want the flavors to compliment each other. It’s a tough job but someone has to do it! 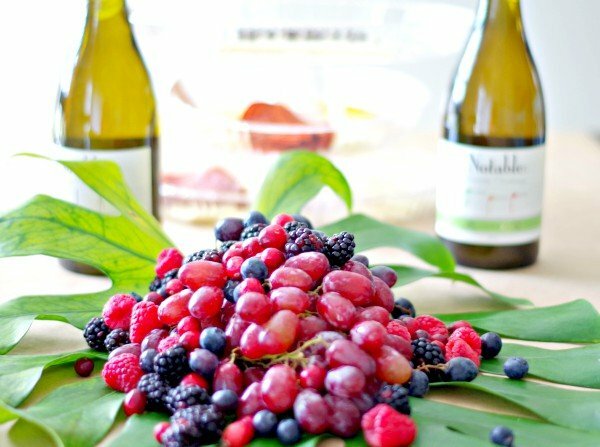 It’s best to start with white wines like the Notable Chardonnays then move to reds. 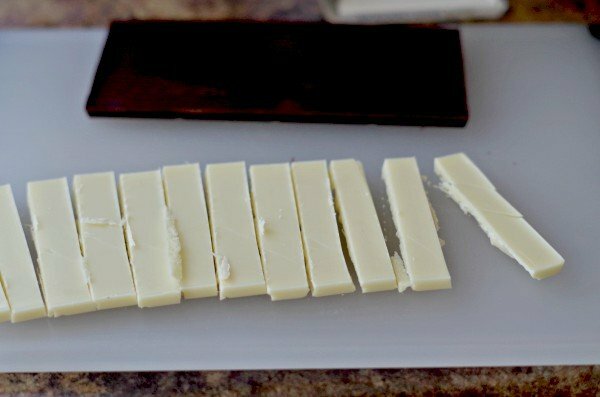 Lighter cheeses to sharper cheeses. 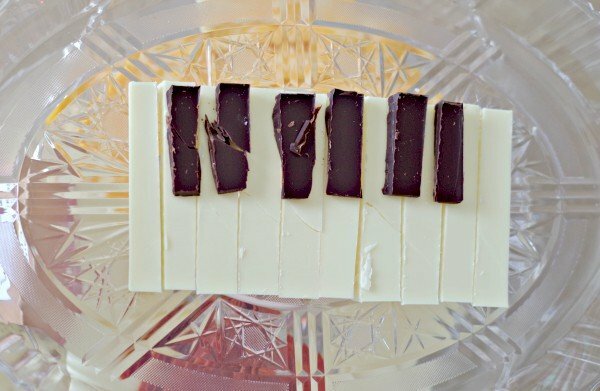 For the chocolates I cut them into small pieces and arranged them into a piano. 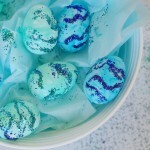 It is just a cute and easy way to serve chocolate. Plus, it goes perfect with the Notable Wines. 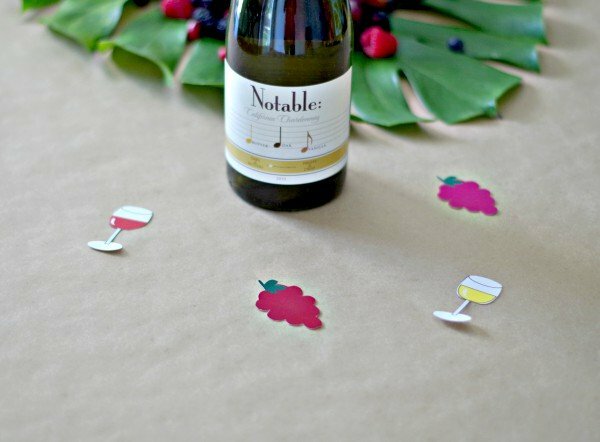 Music is essential for any wine tasting party! This table setting took me minutes to put together. 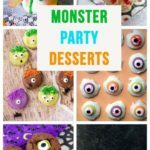 I am all about making it easier on you and me to set up a party. Then you can relax and enjoy your party with a glass of Notable Wine! 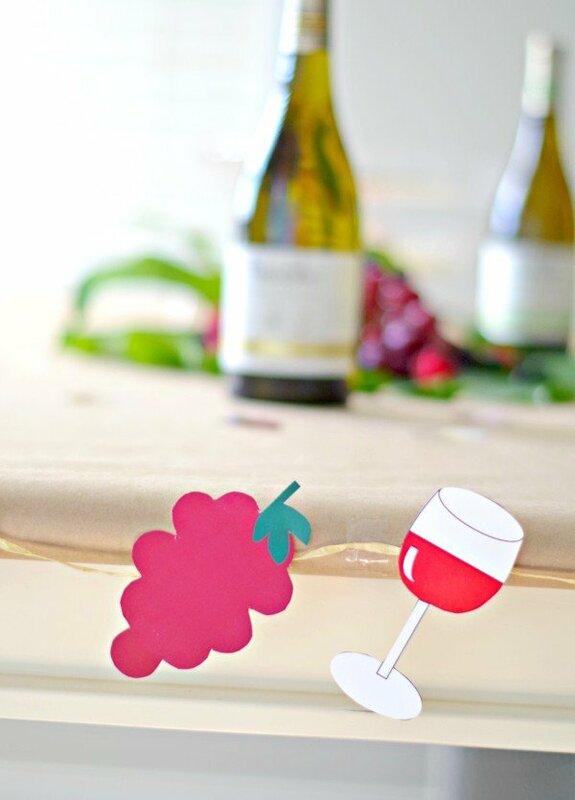 These printable are such a fun touch to any wine tasting or wine themed party. For the wine glass banner CLICK HERE, toppers CLICK HERE, grape banner CLICK HERE, grape toppers CLICK HERE, and grape food labels CLICK HERE. 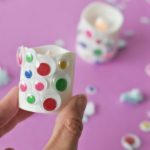 You can use the toppers for confetti and food toppers. 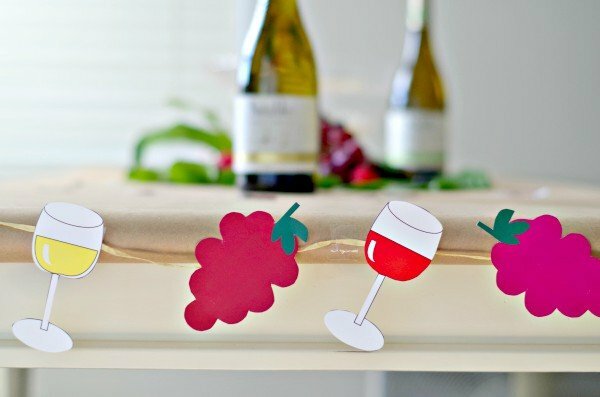 Then I made a simple banner with grapes and wine glasses. 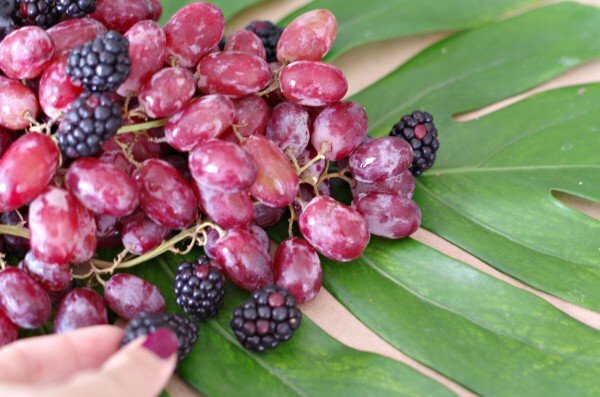 You can use just the wine glasses, just the grapes, or both. You can write who should sit where on the table runner as well as label the food. It’s a fun touch. Then people know what they are eating and where they should sit. 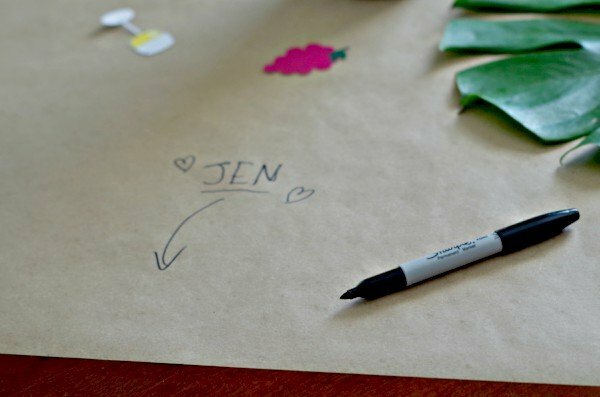 You can also leave it blank but put markers for adults to color or print out adult color pages. 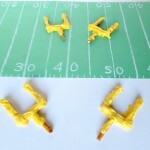 Now, who is ready for some games? 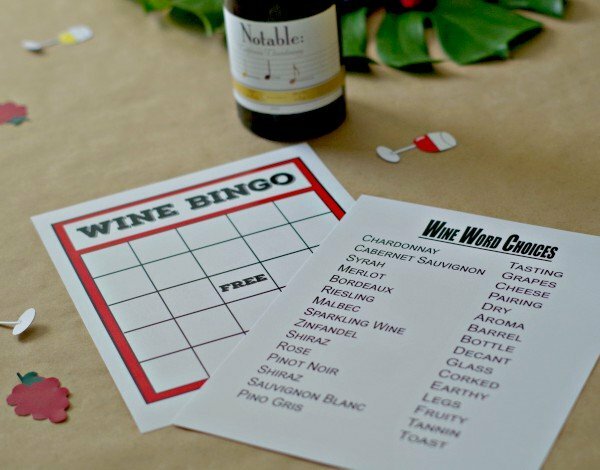 Play wine bingo(CLICK HERE for the printable) with this fun wine bingo printable. 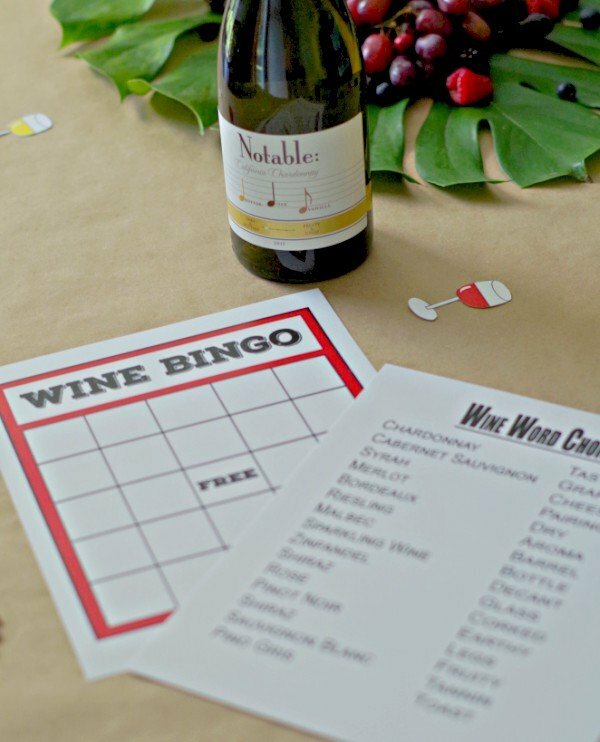 Guests add wine related words to the bingo sheets to play. Then cut out the words to pull out of a jar randomly. Whoever gets bingo first wins! For the next game guess the wine. 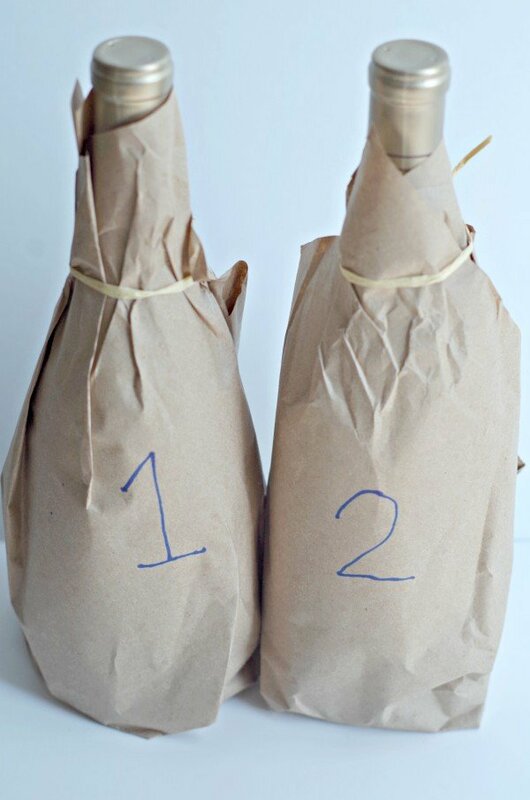 Have wine wrapped in paper bags. Pour tasting cups out for guests to taste then they have to guess which wine it is. Have two wines per round. See if guests can distinguish between Notable: Oaky and Buttery and Notable: Fruity and Crisp without seeing the bottle. 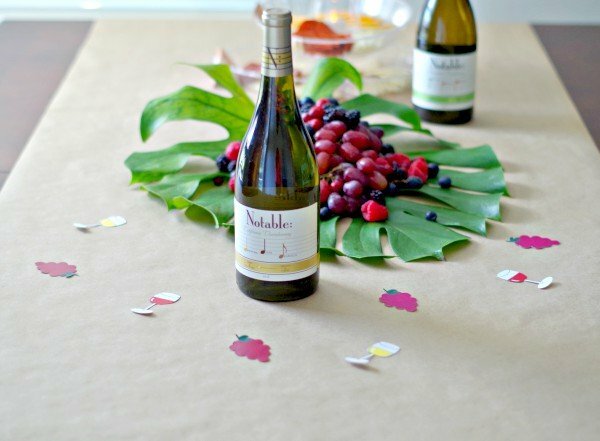 This is a fun game and really helps guests focus on the notes of the wine. 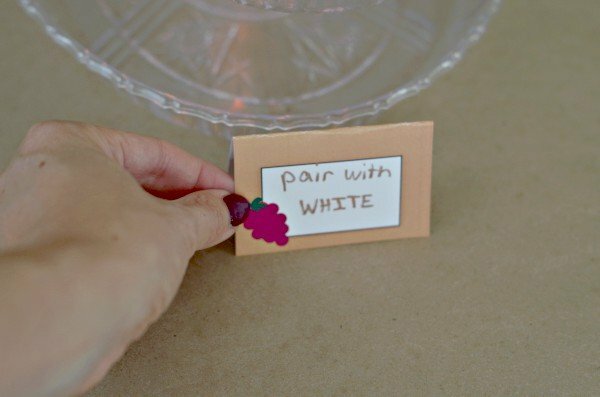 Make wine charms with different color string or wire so guests will know which glass is theirs at the party. 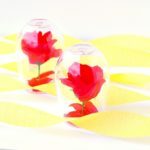 You can also make them with different charms for each glass. 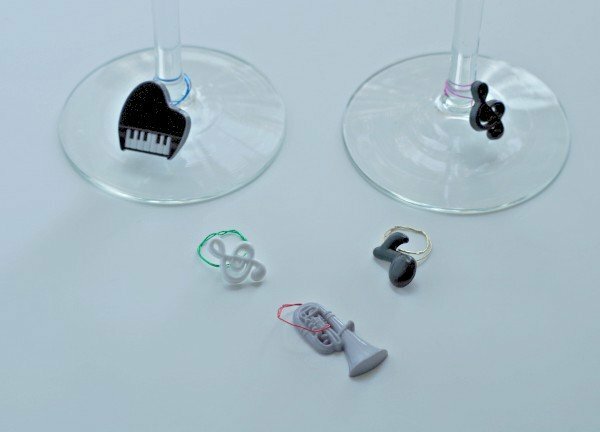 I used musical themed charms to go with the Notable Wine. 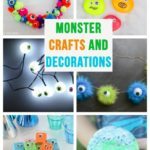 I also used different color wires to wrap them around the wine glasses. 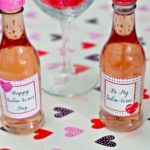 These wine charms were a hit with guests. Overall, the wine tasting party was a blast and the perfect way to get into the holiday spirit! Thank you, the wine charms were really fun to make!